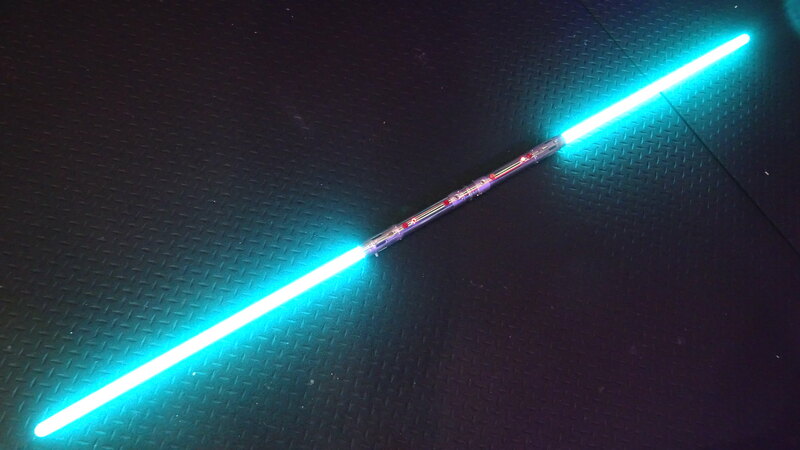 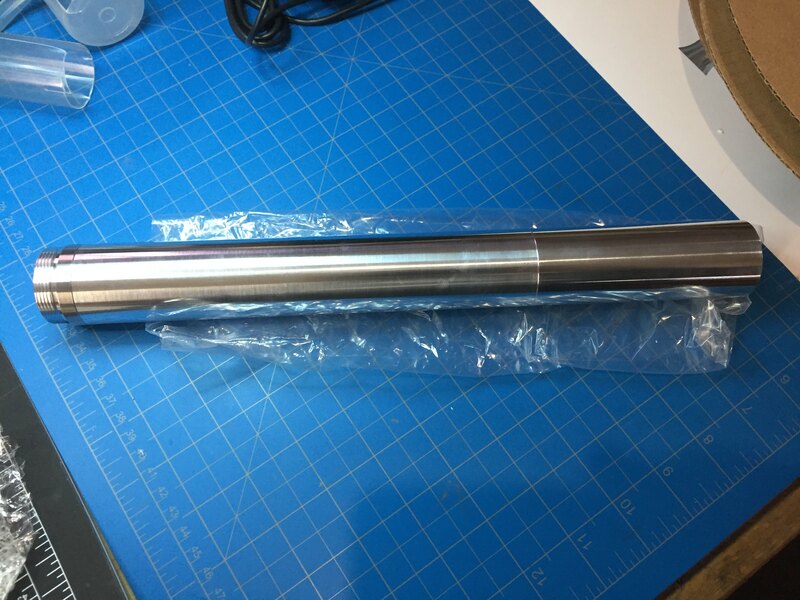 This is a lightsaber staff I'm making for Francis. 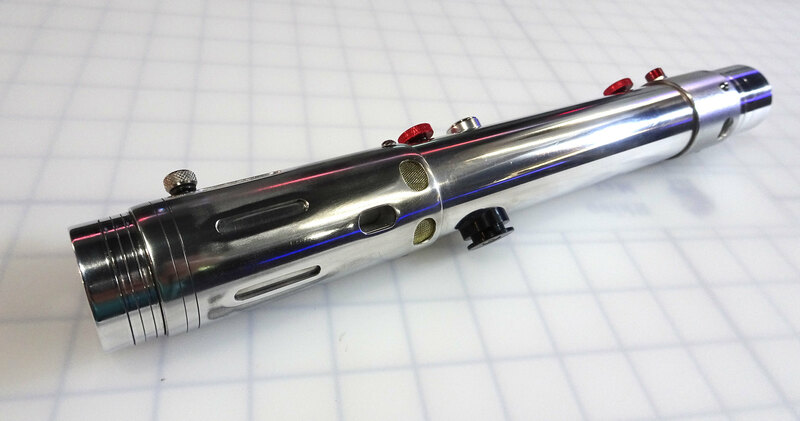 This is what I have so far... it's just one side is ready to show and it's just the hilt body so far. 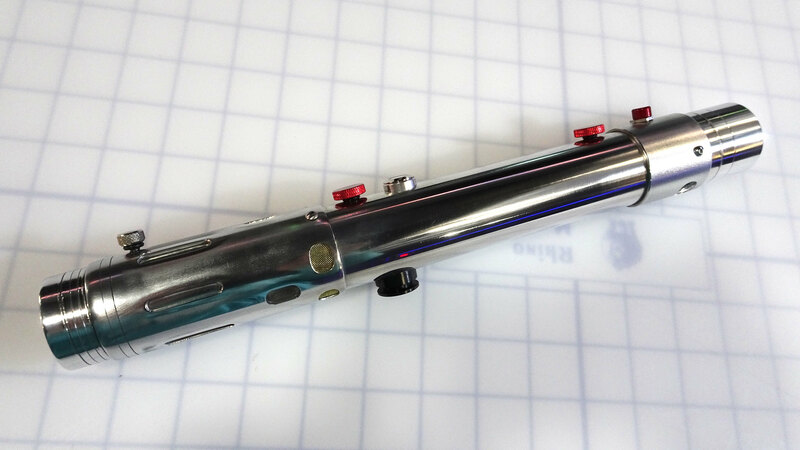 Still kind of rough. 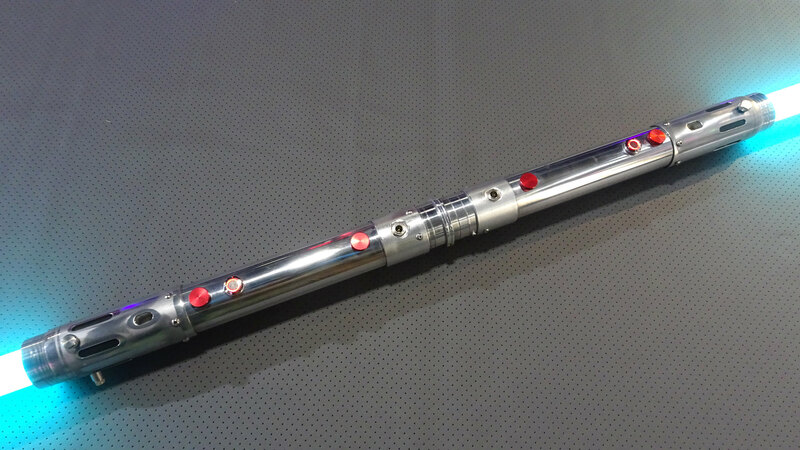 The inspiration for this is sort of like a Jedi version of the Darth Maul lightsaber staff from Episode I: The Phantom Menace. 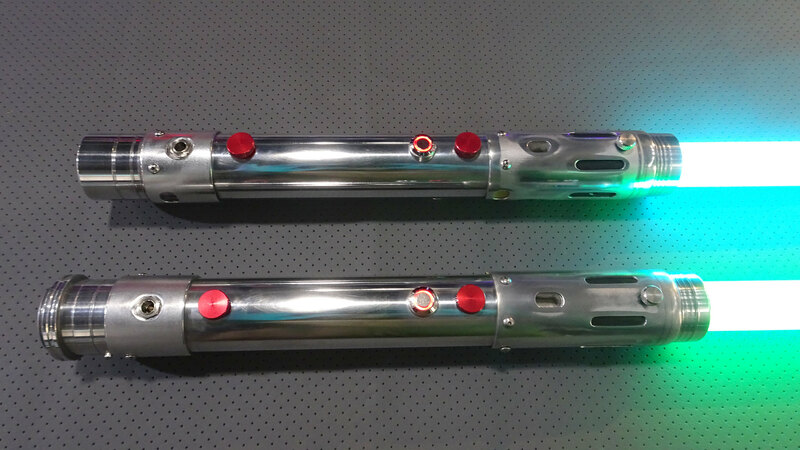 ...they can turn into a lightsaber staff by screwing into one another. 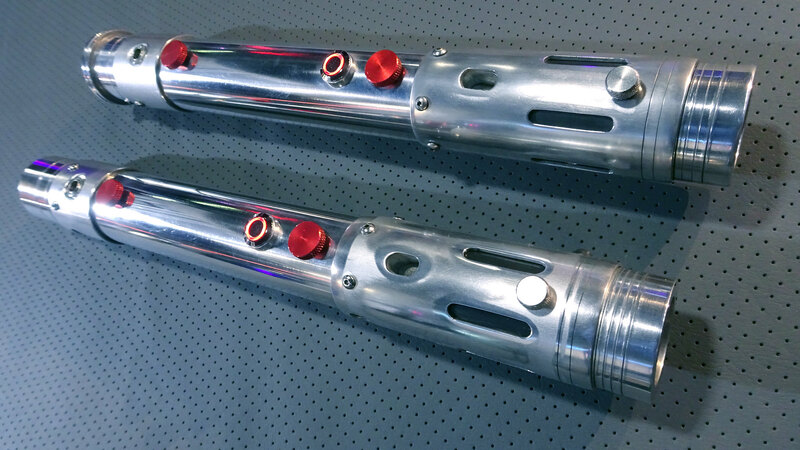 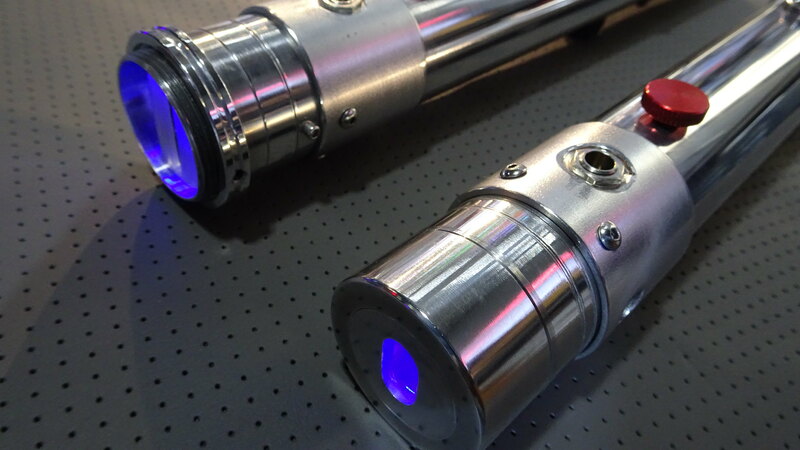 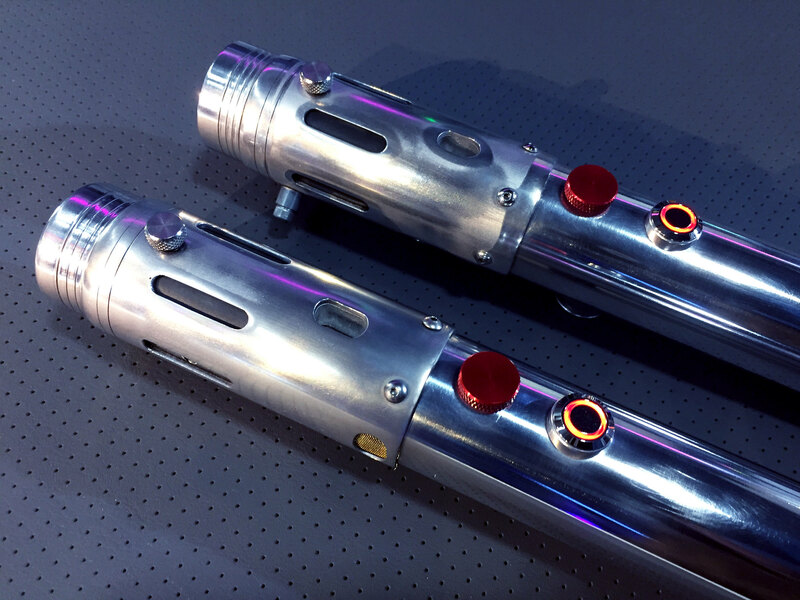 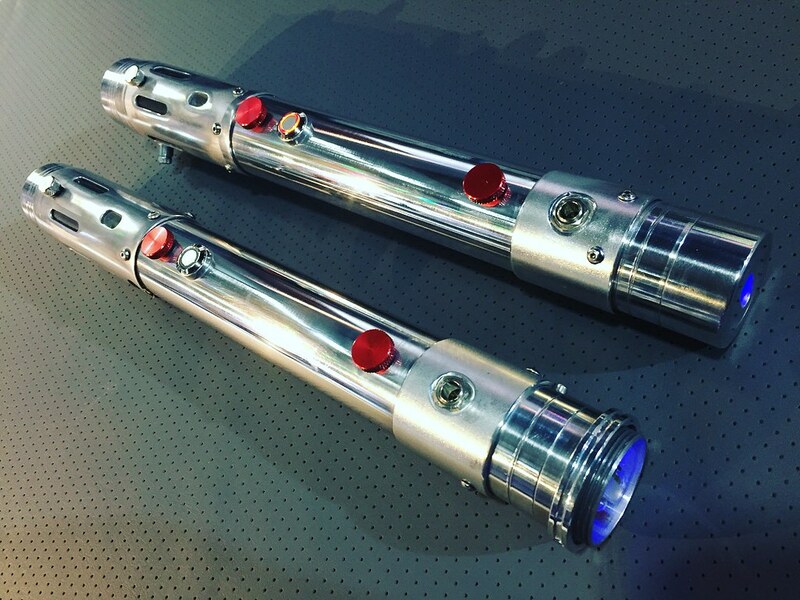 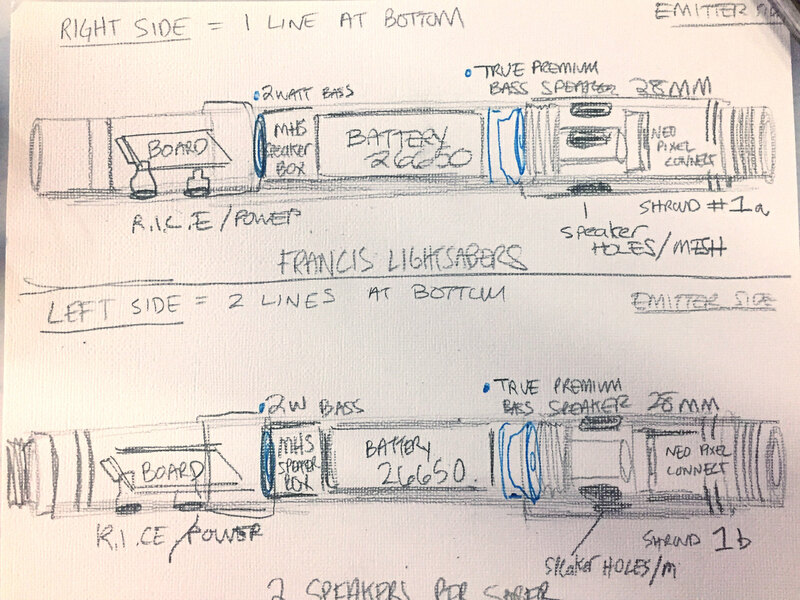 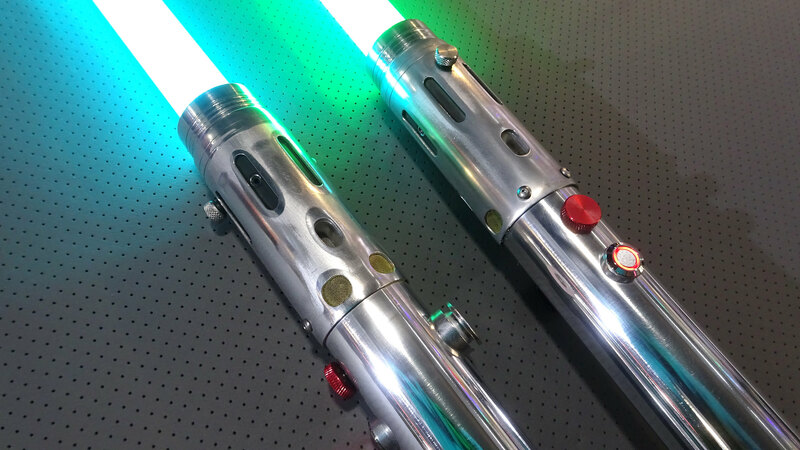 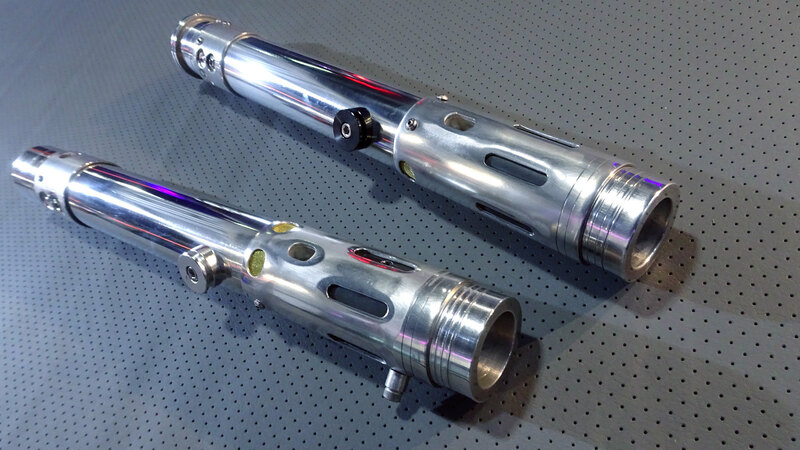 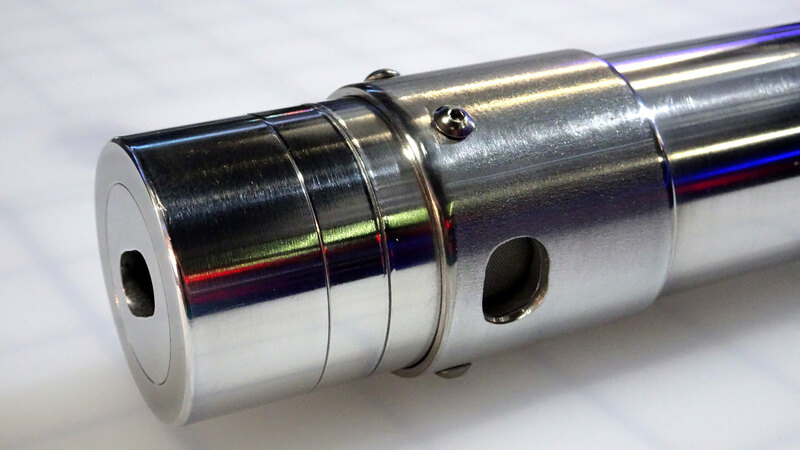 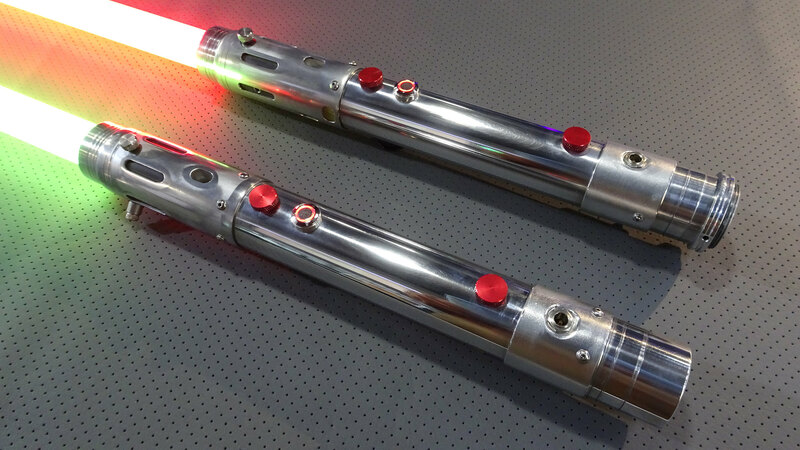 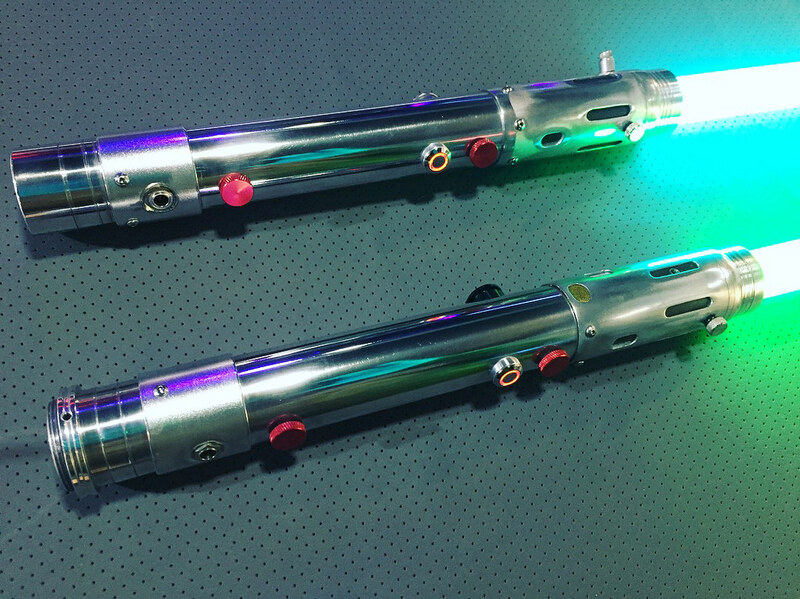 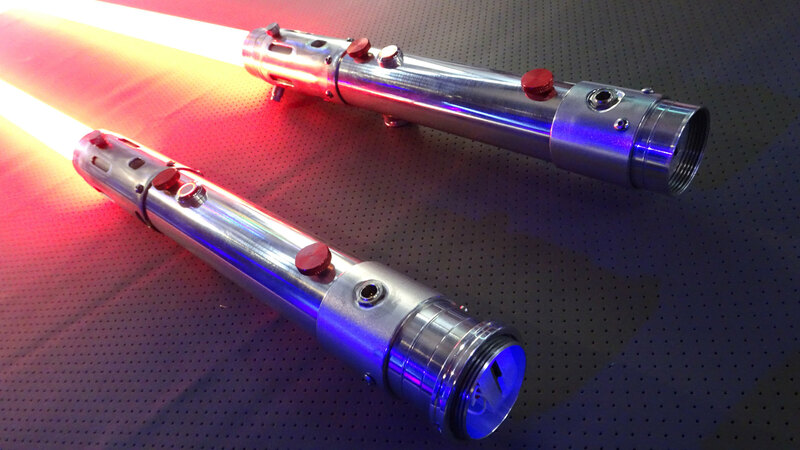 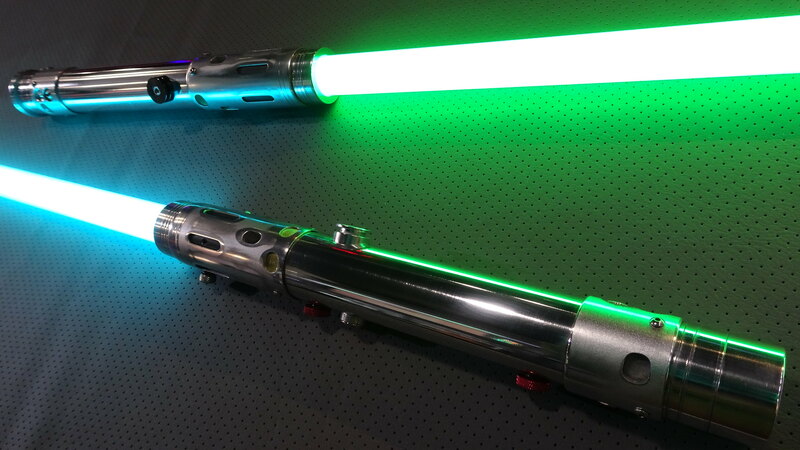 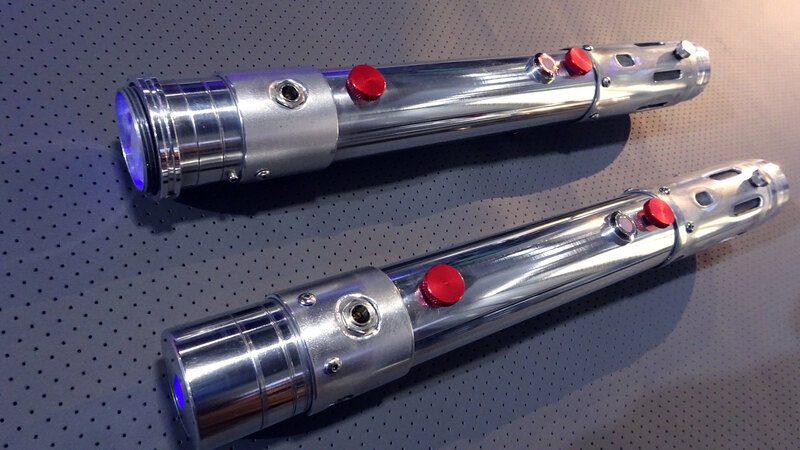 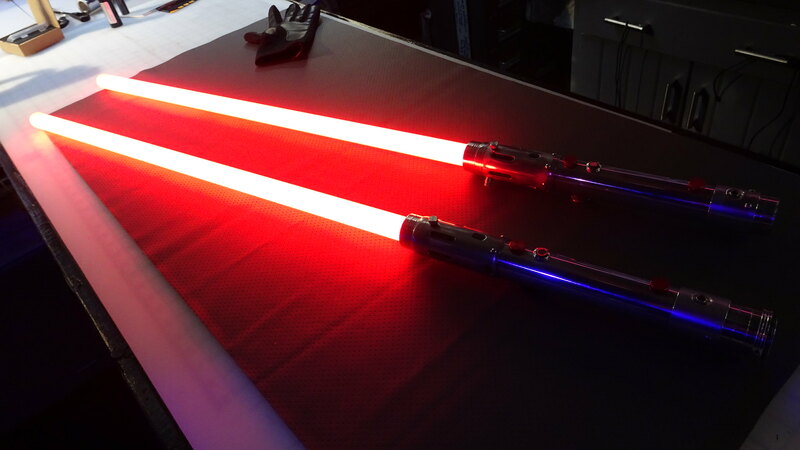 The main feature that Francis wants here is that these sabers have two speakers each and have good sound. 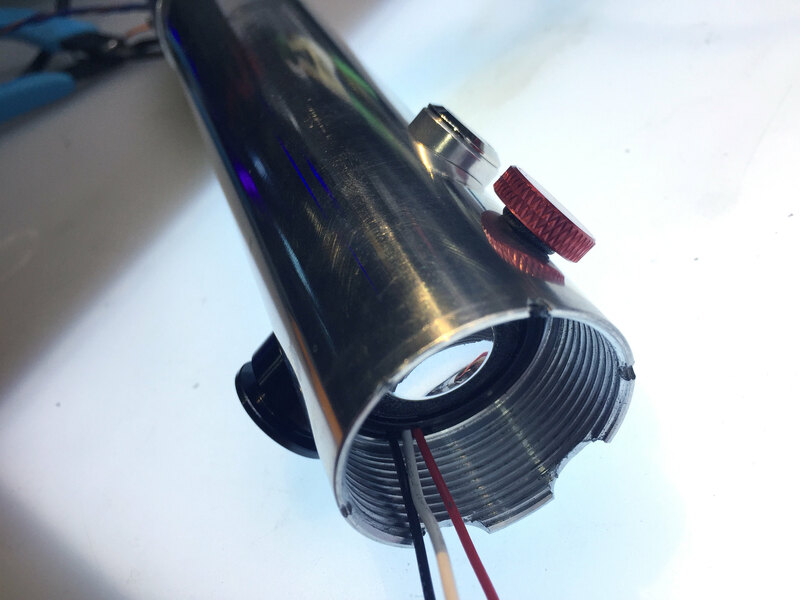 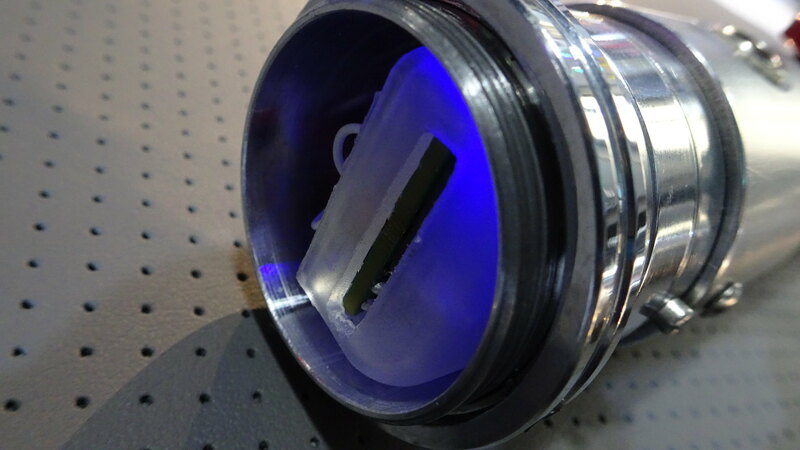 They will feature a 26650 Lithium Ion rechargeable battery with Protection Circuit and Neopixel capability. 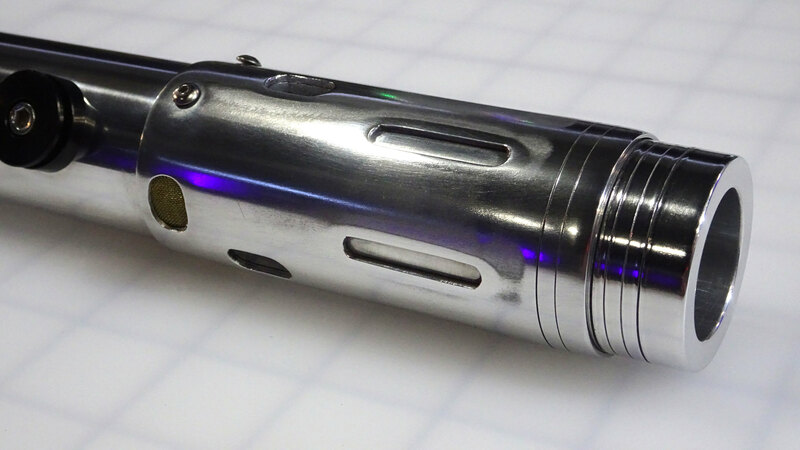 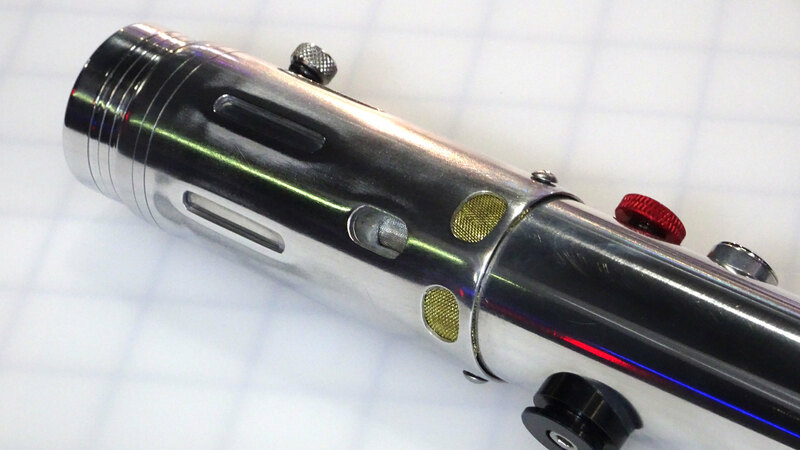 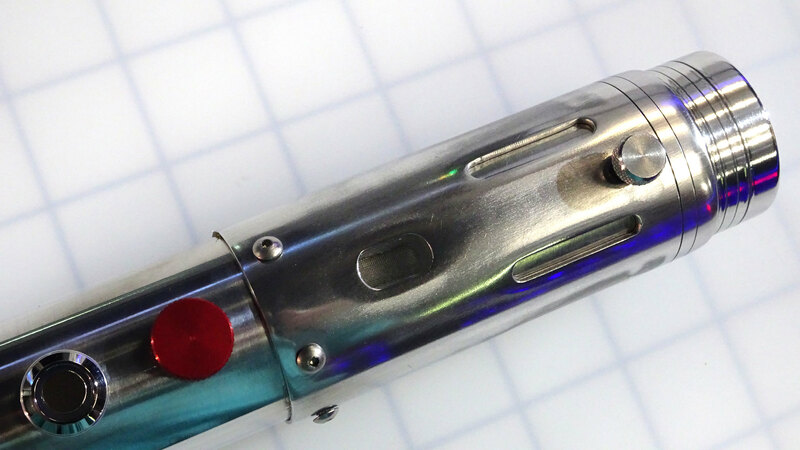 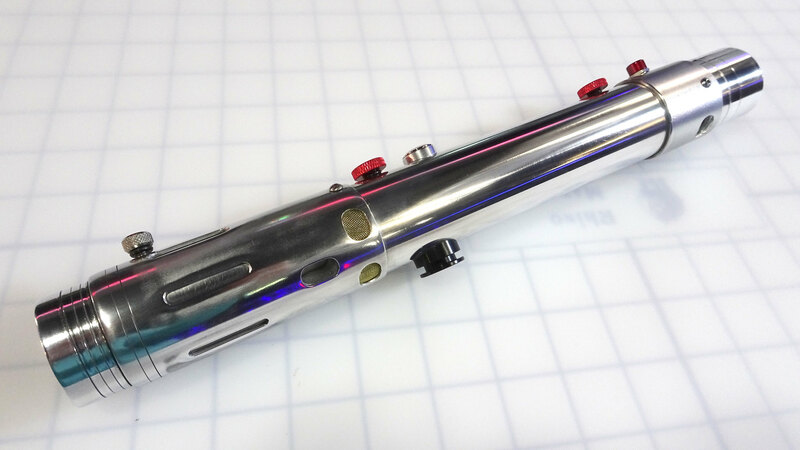 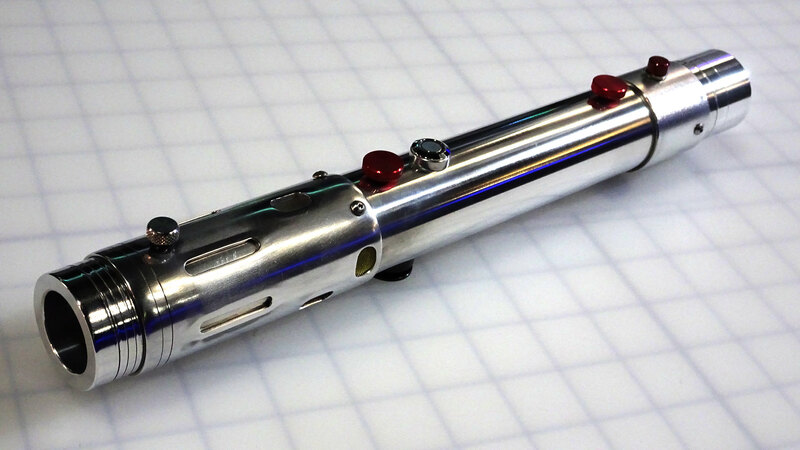 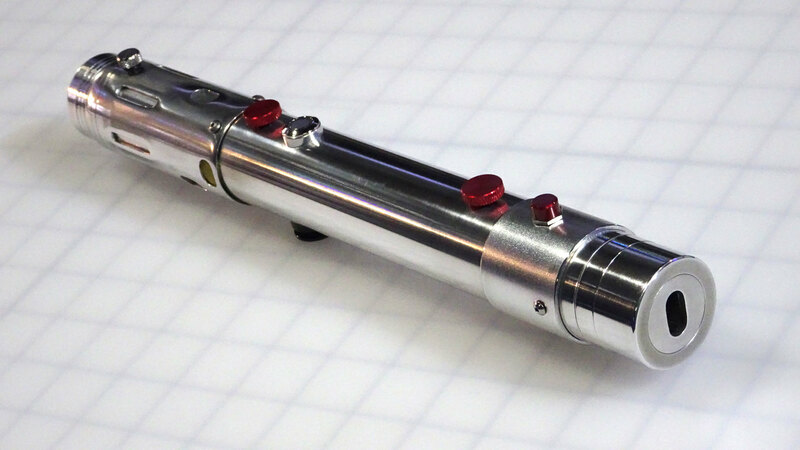 The video of the completed saber is now in first post. 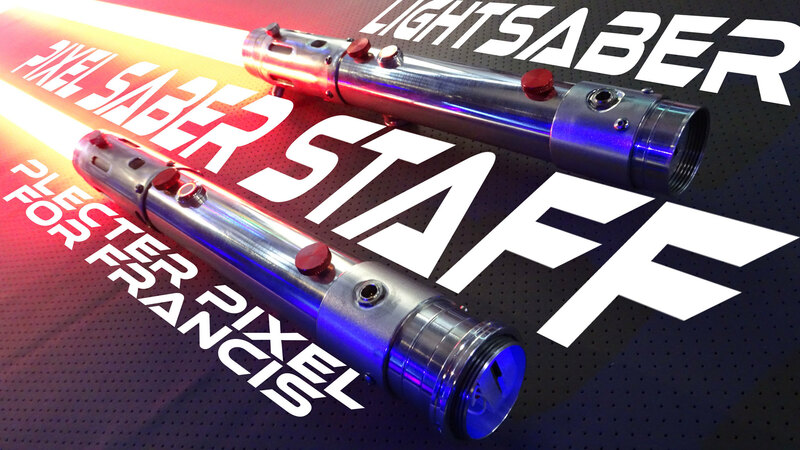 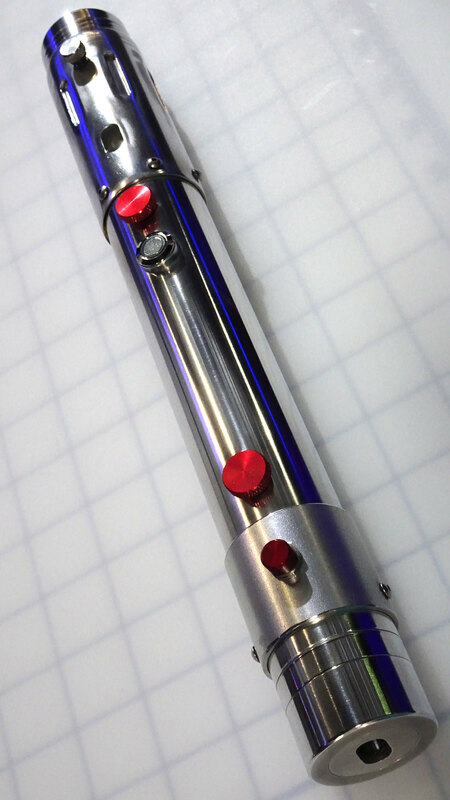 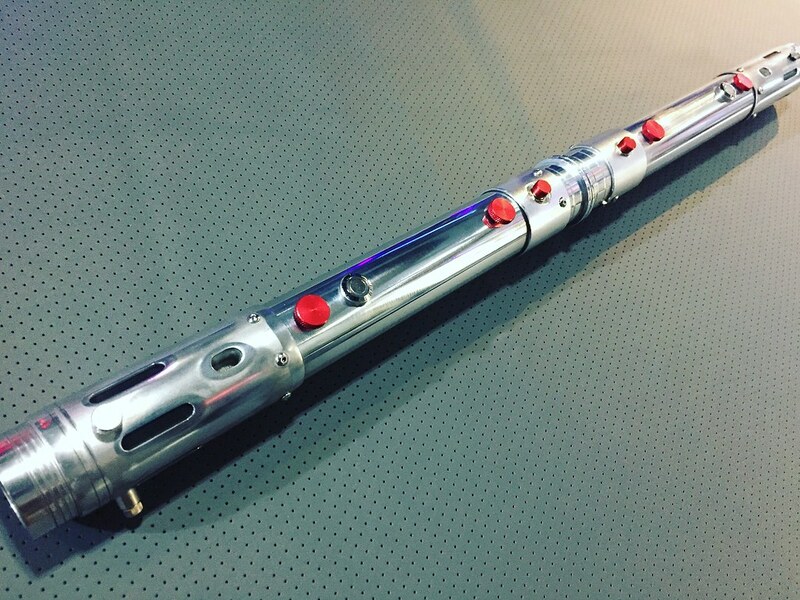 Thanks for checking back in on this lightsaber staff. 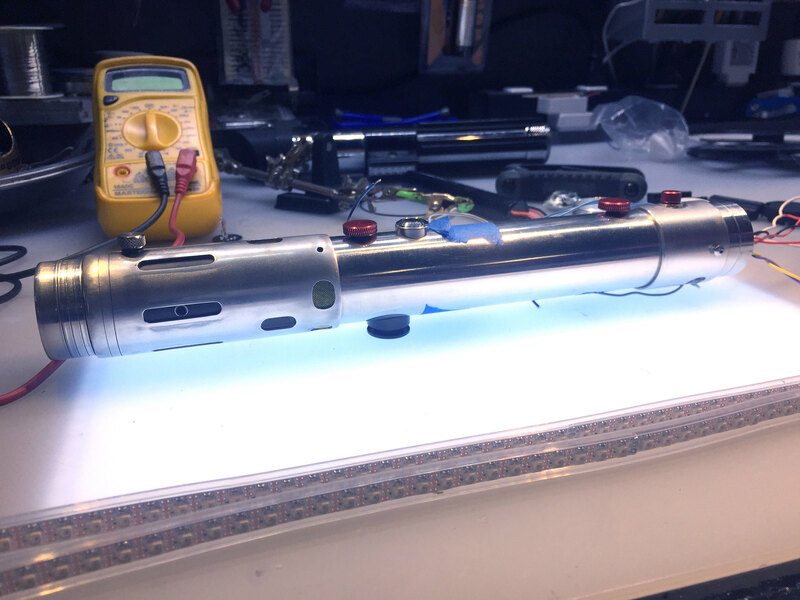 It is now complete!